Knight armour parts in a fun online word puzzle. Components of medieval armour. Dress the knight. Rrotating puzzle with Mausoleum at Halicarnassus. Drag and drop the 7 wonders on the correct location. Interactive geologic time scale. Fun puzzle game. Place the animals in the correct geologic period. 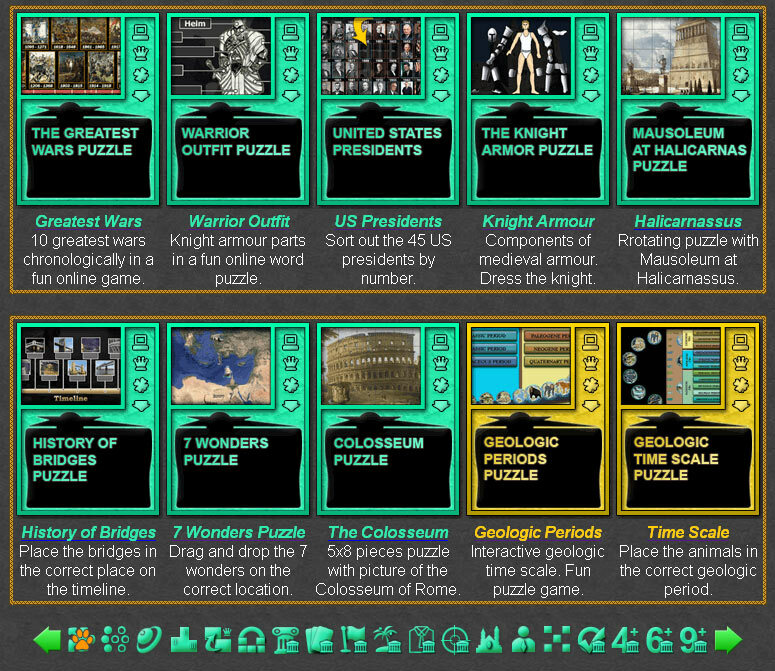 Fun online educational puzzles with history subjects. 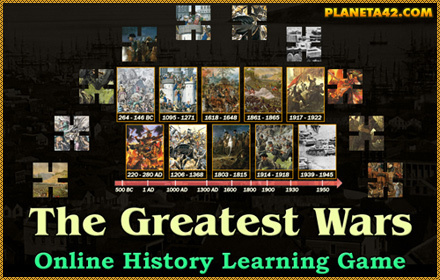 This page include all history games to sort, arrange and finish historical diagrams, data and pictures. Play and learn history with short fun online puzzle games. Fun History Puzzles Collection. Taj Mahal Puzzle - 40 squares rotating puzzle of Taj Mahal world wonder. Great Pyramid Puzzle - 40 squares rotating puzzle of Giza Pyramid. Hagia Sophia Puzzle - Short online puzzle with medieval wonder of the world. Temple of Artemis Puzzle - 40 pieces online puzzle with remainings of the Temple of Artemis. Romania Historical Regions - Interactive map of Romanian history 1800 - 1900. Hanging Gardens of Babylon - 40 piece puzzle of the Hanging Gardens of Baylon.